Turkey’s PM Recep Tayyip Erdogan will run for president in the first direct election in August, his governing AK Party has confirmed. 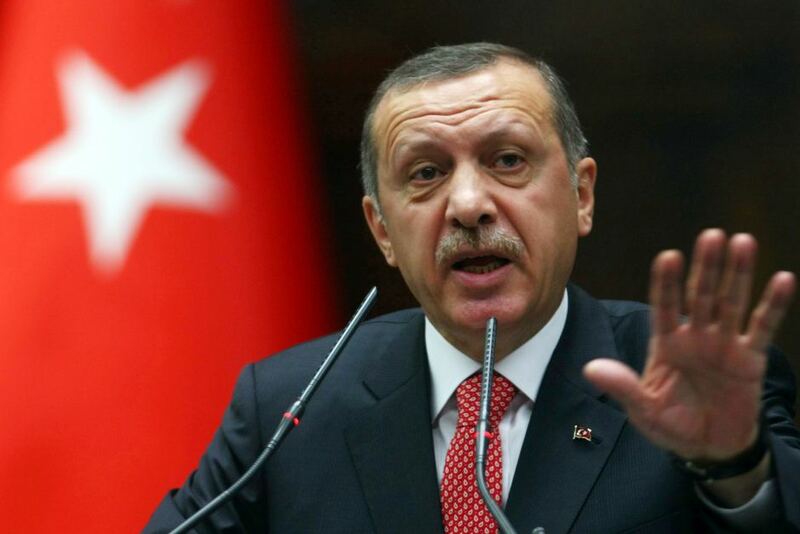 Recep Tayyip Erdogan has been prime minister since 2003 but is barred from seeking a new term. In the midst of corruption allegations, critics say Recep Tayyip Erdogan has become more authoritarian, but he says political foes are trying to oust him. Recep Tayyip Erdogan wants to give new powers to the president, which has been a largely ceremonial role. In the past, the incumbent has been chosen by parliament. For the first time Turks will vote directly for their president in a two-round election in August. In April, incumbent President Abdullah Gul ruled out swapping roles with his ally, Recep Tayyip Erdogan, when his presidential term ends. The AKP has won six consecutive elections, at national and local level, maintaining a solid base of support among the working class. Tuesday’s announcement was greeted with loud applause by party members at a meeting in the capital, Ankara. “The candidate for the 12th president is our prime minister, head of our party and Istanbul lawmaker Recep Tayyip Erdogan,” Mehmet Ali Sahin, deputy AKP leader, announced. Recep Tayyip Erdogan’s opponents accuse him of losing touch with ordinary people after more than a decade in power. A wave of opponents rose up in May 2013 against the government’s plans to convert Gezi Park in Istanbul into a replica military barracks. The prime minister called the demonstrators “capulcu”(riff-raff) – and ordered the police to retake the park. Last December, prosecutors and police officers organized dawn raids against more than 50 businessmen, including the sons of three cabinet ministers – all allies of the prime minister. Recep Tayyip Erdogan said the park protests and the raids were each orchestrated from abroad – a reference to the Gulen movement, named after its leader, a 72-year-old Islamic scholar, Fethullah Gulen, who lives in self-imposed exile in the US. Fethullah Gulen’s Hizmet movement was unhappy with the way Recep Tayyip Erdogan dealt with the Gezi Park protesters. In April, Turkey said it would launch extradition proceedings against Fethullah Gulen. Fethullah Gulen has many supporters in the police and judiciary, and has denounced moves to shut down the investigation into corruption allegations leveled against several of Recep Tayyip Erdogan’s allies. Raffaele Sollecito: "Amanda Knox gives me an alibi"